Dirty John (Sunday, 10/9c, Bravo): In her best role since leaving Nashville, Connie Britton stars in this glossy and dramatization of a true-crime podcast. She plays Debra Newell, a four-times-divorced Orange County real-life housewife who should have known better than to be swept off her feet by John Meehan (Eric Bana), a charming doctor — at least that’s what he says he is — whose inner sociopath soon emerges. Had she but known… there wouldn’t be a story to tell. In her best role since 'Nashville,' Connie Britton plays an unlucky real housewife of Orange County. The Simpsons (Sunday, 8/7c, Fox): Having found myself on the bad side of certain celebrities after withering reviews, I can almost empathize with Homer when his negative TV recaps of Krusty send the clown on a nearly murderous rampage. In the aftermath, Krusty goes into exile at a real circus — do they still exist? — and finds actual zen. The Flood (Sunday, 8/7c National Geographic): Usually the word “flood” connotes natural tragedy and disaster. Not so in Nat Geo’s latest visually stunning nature documentary, set in Africa’s Okavango Delta wilderness, which becomes an oasis amid the harsh Kalahari Desert when an annual great flood brings the land once again alive. The Flood depicts how the indigenous animals — leopards, elephants, lions, hippos and more — adapt to the changing environment, including when the waters eventually and inevitably recede. Hephner is a newcomer to the groundbreaking documentary/drama series for its second season. The Walking Dead (Sunday, 9/8c, AMC): Judging from the last few episodes, the long-running survival saga hasn’t yet figured out quite how to craft compelling drama from a post-Rick world. Tellingly enough, the midseason finale is titled “Evolution,” which would seem to refer to the fact that the new herd of walkers threatening the gang appears to have developed a mode of rudimentary speech communication. (Self-aware zombies are the worst!) But it’s The Walking Dead’s own evolution, as AMC plans to extend the franchise with Rick Grimes movies, that fans may need to be concerned about. Escape at Dannemora (Sunday, 10/9c, Showtime): The fascinating slow burn continues on this first-rate prison drama, as a change in personnel in the tailor shop prompts Richard Matt (Benecio Del Toro) to insinuate himself into a disgruntled Tilly’s (Patricia Arquette) confidence. Matt also is busy investigating the walls inside the prison, urging David Sweat (Paul Dano) to join him in his elaborate escape plan. Every Day Is Christmas (Saturday, 8/7c, Lifetime): It sure seems like every day is Christmas these days, with an endless deluge of holiday movies on multiple channels. Toni Braxton stars in this latest (it surely won’t be the last) twist on A Christmas Carol. Lifetime also gives us Christmas Harmony (Saturday, 10/9c), about a pop star’s girlfriend who heads home for the holidays after a breakup; Jingle Belle (Sunday, 8/7c), starring Tatyana Ali (The Fresh Prince of Bel-Air) and Cornelius Smith Jr. (Scandal) as former high school sweethearts who reunite to collaborate on a Christmas Eve pageant; and Christmas Perfection (Sunday, 10/9c), about a Christmas control freak who’s magically transported to a “perfect” Christmas Village and learns to loosen up. Plus, she reveals whether a 'Fresh Prince of Bel Air' spinoff is in the works. From elsewhere: Freeform’s The Truth About Christmas (Sunday, 9/8c) stars Kali Hawk as a political consultant whose encounter with a toy-store Santa leaves her unable to stop blurting the truth. 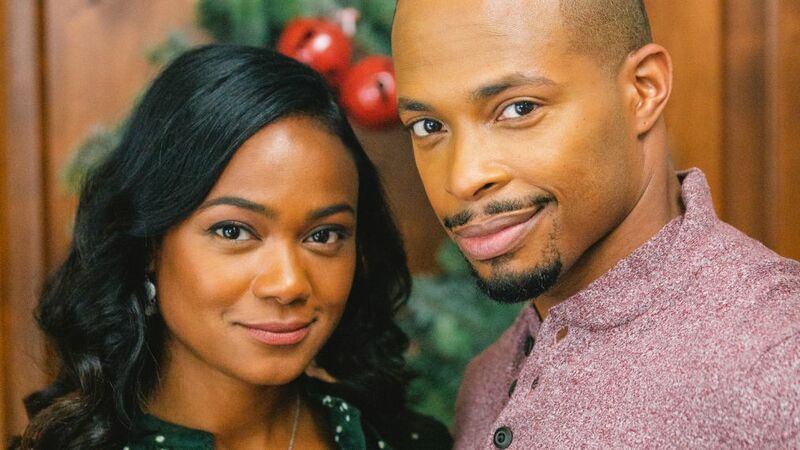 Bounce’s A Stone Cold Christmas (Sunday, 8/7c) is another variation on A Christmas Carol, about a female Scrooge (Demetria McKinney) who must atone for her past when she meets the love of her life. You know those little white lies we sometimes tell? What if you could only speak the truth? Inside Weekend TV: CBS News’ 48 Hours (Saturday, 10/9c) investigates “The Mysterious Death of Casey Kasem,” exposing a family feud amid allegations of murder in the 2014 passing of the radio legend… Among the reports on CBS News’ 60 Minutes (Sunday, 7:30/6:30c, 7 pm/PT): an update on the aftermath of the Fukushima, Japan nuclear disaster, where robots are being designed to help in the clean-up… Smithsonian Channel revisits a space calamity in The Lost Tapes: Apollo 13 (Sunday, 9/8c)… There’s an uneasy father-son reunion on Showtime’s Ray Donovan (Sunday, 9/8c) when Marine recruit Conor (Devon Bagby) stops by New York on his way to being deployed to Germany, and Ray (Liev Schreiber) suggests an outing to Ellis Island to reflect on the family’s immigrant roots. And having lost $3 million in his latest wacky scheme, Mickey (Jon Voight) seeks another route of instant income. Even Bunchy (Dash Mihok) thinks he’s nuts. And he’s right.